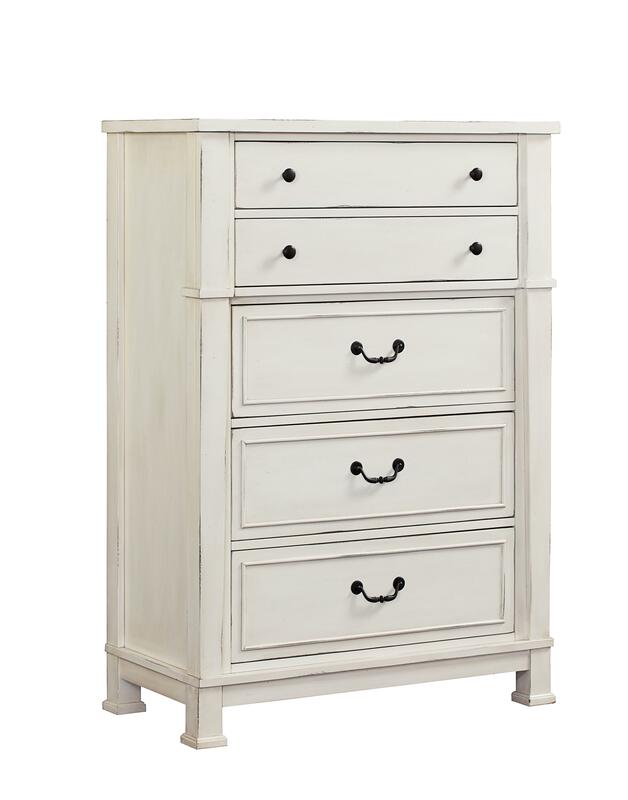 Inspired by the charming mid-Atlantic coastline, the chest of drawers uses light colors and classic design details to create a whimsical bedroom storage piece. The chest has three large drawers and two smaller drawers, the top lined with felt to help protect your valuables. Pair with a bed and other pieces from this set for a vintage bedroom set. 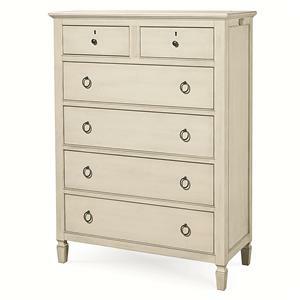 The Chesapeake Bay Vintage White Chest of Drawers by Standard Furniture at Zak's Home in the Tri-Cities, Johnson City, Tennessee area. Product availability may vary. Contact us for the most current availability on this product. Finish Finished in a distressed vintage white. Handles & Hardware Black bronze finish on knob and bail hardware. Case Detail Straight square legs and block feet. Bed and mirror feature mantle crown. Drawer Suspension Metal ball bearing glides. Case Construction Constructed of poplar solids and finished with birch veneers. 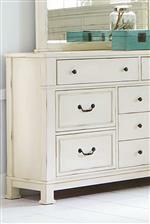 This charming bedroom collection, drawing inspiration from mid-Atlantic coast, will be a bright addition to your home. 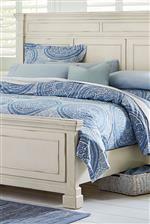 The collection features traditional design details such as raised bead frames on the bed and storage pieces as well as square legs with block feet. The distressed white finish adds a vintage element to this whimsical and fun collection. The Chesapeake Bay collection is a great option if you are looking for Coastal furniture in the Tri-Cities, Johnson City, Tennessee area. 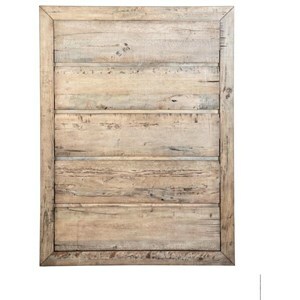 Browse other items in the Chesapeake Bay collection from Zak's Home in the Tri-Cities, Johnson City, Tennessee area.